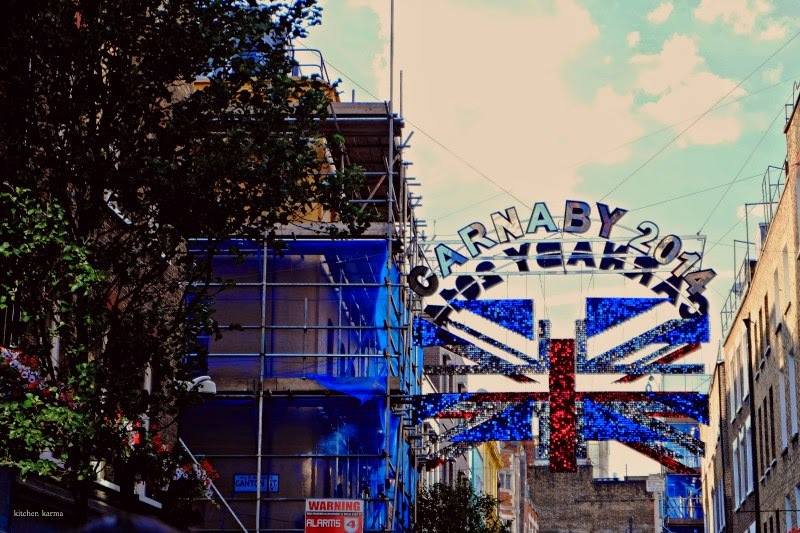 Nisha of My Kitchen Antics had introduced me to the Carnaby Street during our many London day outs. We went to have tea at a charming tea place at Kingly Court, was throughly charmed by the bustling courtyard and the many attractions that little space offers. So when I was invited to a bloggers' preview of Eat Street festival which is to be held at Carnaby Street on 20th of July, I was excited. It sounded like a fun event. It turned out to be a whopper of an event, we covered 6 restaurants in one evening. Talk about restaurant hopping. It was madness with drinks and food flowing non stop. As the evening progressed, we all got a little tipsy and were totally stuffed and swore that we can't eat another bite. But when the next dish landed in front of us we all tucked in. With gusto. We began our restaurant review at The Wright Brothers who according to their website have a passion for all things from the sea. The oyster served to us was from their own farm-- the Duchy Oyster Farm in Falmouth, Cornwall. I always thought that oyster is a French thing, but yesterday I met a team who take seafood passion to a new level. It was my first oyster eating experience and I couldn't have chosen a better venue. The first one, I had with lemon juice and it tasted of the sea. 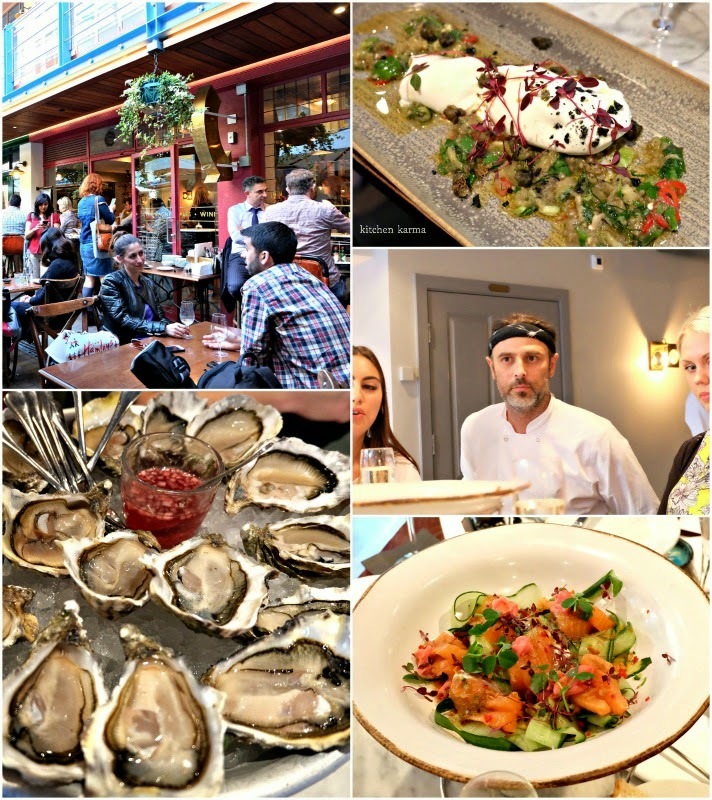 It felt exactly like I am having a piece of the sea, salty, a bit sea weedy, the oyster was smooth and silky, a little chew and the oyster slid down my throat without any fuss. The second one I tired with the excellent shallot vinaigrette. This time round it did not taste that much of the sea, the vinaigrette had taken over. What stuck me about oysters was their texture, it's nothing like I have ever had before. I am told that oysters are an acquired habit, you gradually progress up the oyster eating chart. I would highly recommend trying it at least once. 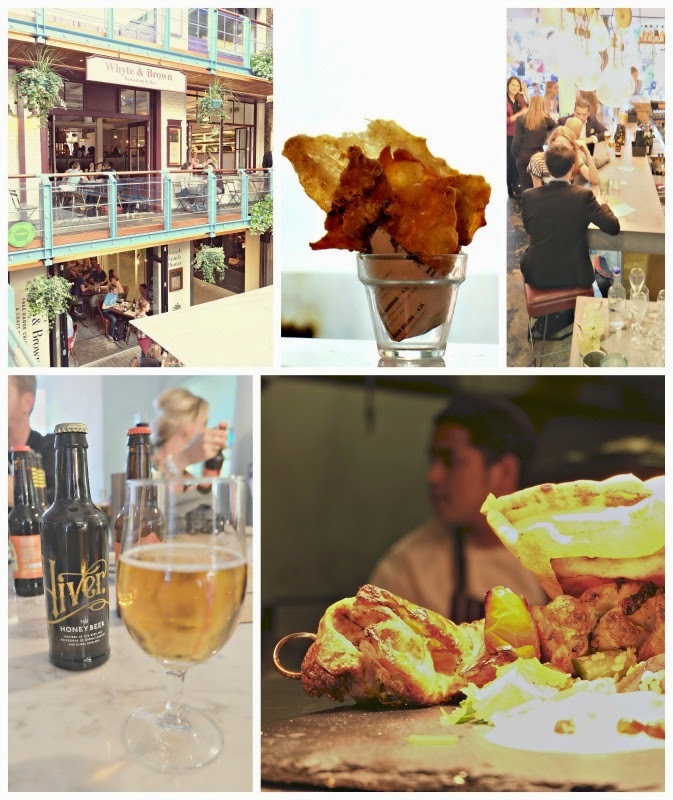 If you have never tried oyster and have been meaning to, I think the Wright Brothers are a great place in London for give it a go. Apart from this, they also have an extensive sea food menu and the best bit is all of it is farmed by them. So the seafood is as fresh as you can get. Our next destination was Choccywoccydoodah. Now that is a really cool name, isn't it? Inside it's all the more cooler and really funky! It like a museum of chocolates and cakes. Painted a bright red, wherever we turned in the shop there was a stunning piece of handmade cake or a stack of chocolates. We were taken upstairs to their secret tea room. What a charming place it is. They serve afternoon tea and the best bit is you can book the room for your party and make it private. 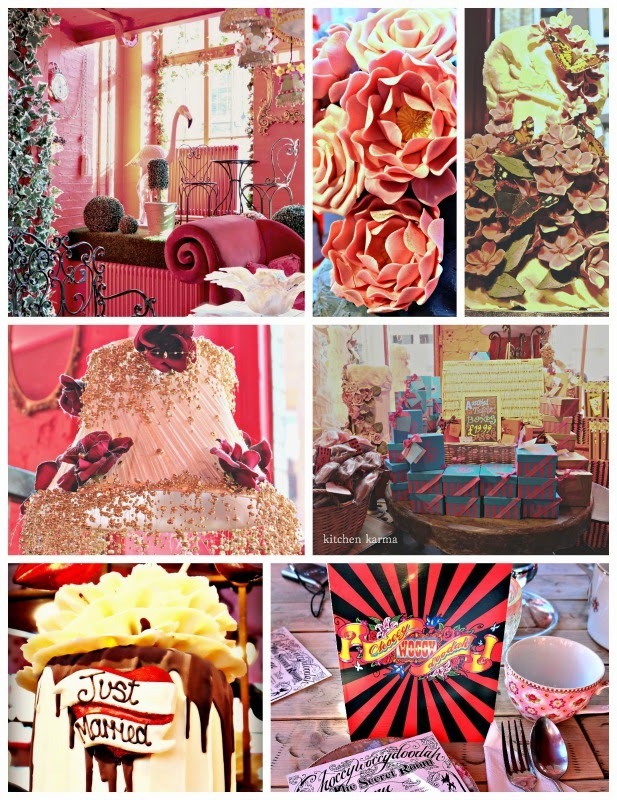 Apart from the cakes, I was very impressed with the decor of the place. Not only was the place painted red, it is decorated with over the top lampshades which bring in so much glamour to the place. I would definitely love to go for tea there one day soon. 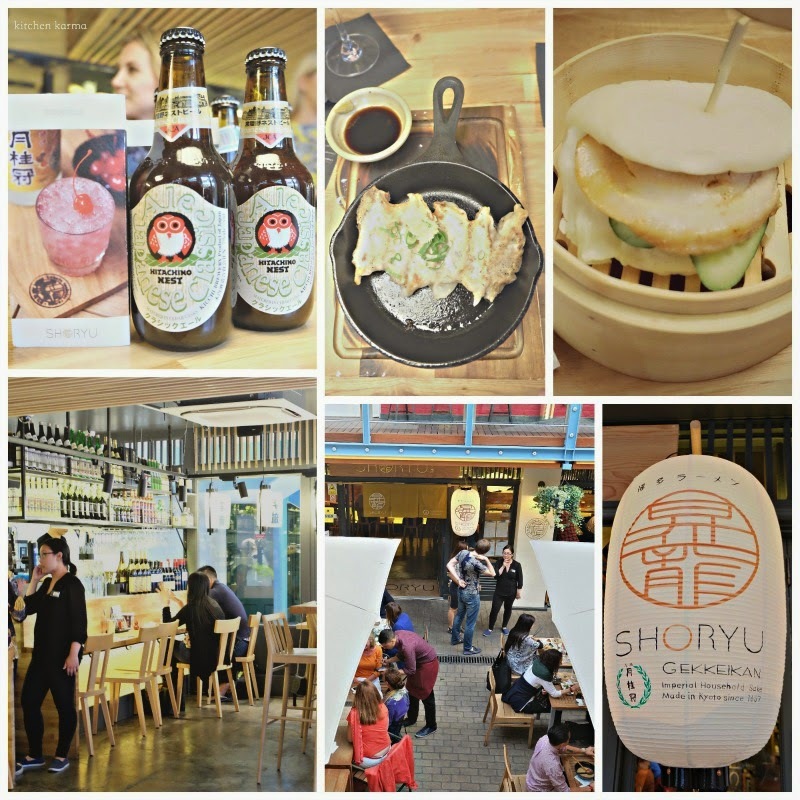 Back at Kingly Court and this time we went to Shoryu which is a Japanese Ramen noodle speciality restaurant. We were greeted by a big gong and a glass of vanilla & caramel champagne. Close on it's heel came chicken dumplings and the most luscious pork buns. There was a slice of pork belly cooked to perfection with some lettuce and sliced cucumber encased in a fresh and melt in the mouth bun. It is the kind of food which you can't stop eating after one bite. You finish one bun and look for another one. After that came beef buns. I did not get to try those. But no complaints, I was a happy girl munching on my pork bun. I am going back to Shoryu for those pork buns alone. And of course the ramen noodles! Our next stop was just a few paces away, Whyte and Brown specialise in free range chicken and craft beer. If you are a chicken lover this is the place for you. Their menu has a wide variety of chicken dishes including paillard, milanese, souvlaki, jerk, pulled and so much more. We tasted the Hiver Honey Beer. Am not a beer fan at all, that department is all husband's. But this beer was a surprise. I liked it. It smelled faintly of honey and it was light and refreshing. It's a beer I can have and that is a first. To go with the beer we were served South Coast Crab on Toast. But my favourite in this place was the dessert. The Exotic Mess--mango, banana, passionfruit and pineapple in a thick custard with smashed bits of meringue. It was delicious and the serving was big. The Mess was made to perfection. This was served with a wheat beer. But to tell you the truth I hardly tasted the beer, I was so taken with the mess. By now we were stuffed, but we were not done yet. The evening was still young and there was more food to consume. We walked across the courtyard into Cha Cha Moon. By now it was nine in the evening and the place was buzzing with diners. First came the cocktails, and then the food started arriving. All kinds of crackers, dumplings, sea weed, parcels, rice cakes, spring rolls. Of course we stuffed ourselves silly. But the star of the show in this place was the broccoli. When plates of broccoli were placed before us, most of us admired the vivid green colour. Then some of us reached out for a piece. It was perfectly steamed and oh-so-flavourful in oyster sauce.Soon the table was buzzing with broccoli admiration. Last came full portions of Singapore fried noodle for each of us. By then we could barely move, let alone eat some more. So the Cha Cha guys kindly packed the food for us to take home. Lunch taken care for the next day! Yaayyyy! 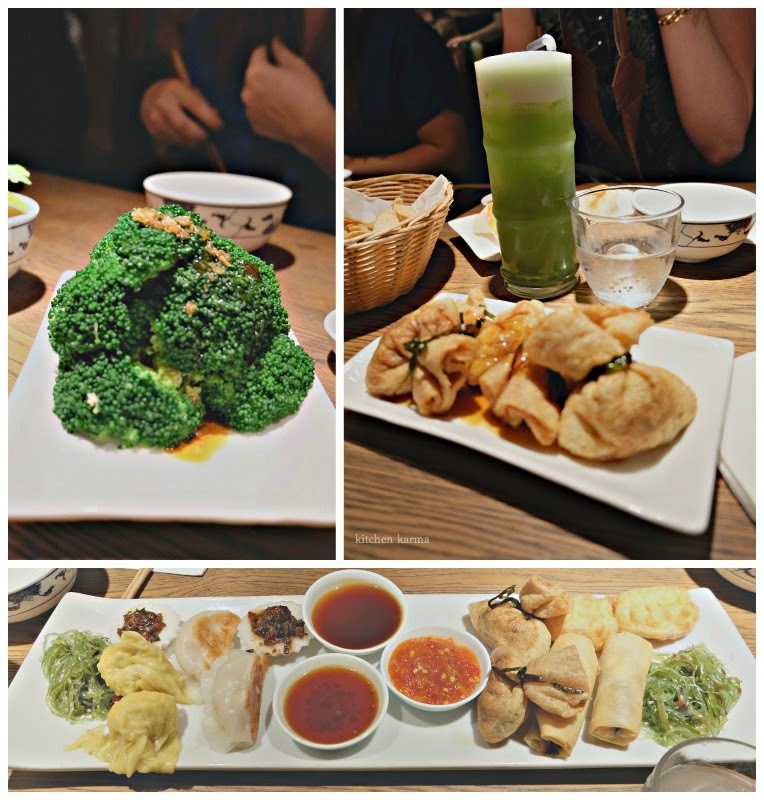 My experience at Cha Cha was Asian hospitality at it's best, the table was heaving with food and still more kept coming. I would love to go back to Cha Cha for a meal when I am not this full. The next and final destination of the evening was The Rum Kitchen. But by then I was feeling dead tired and a little sick from all that food and booze and fell off the bandwagon. 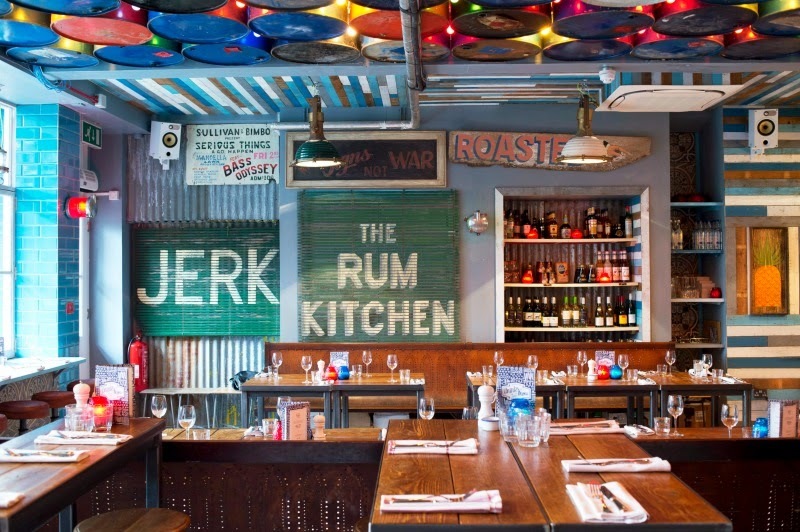 This place is a Caribbean inspired beach shack restaurant and cocktail bar. We were told that the cocktails are mean and lethal there. I am sorry to have missed the experience, hopefully can make it some time soon. If you are in London on the 20th of July, make sure to pop in to experience the Street Eat on the Carnaby Street. You can get more details at the Carnaby Street website. You could also register for event guides. If the preview was any indication, it is going to be hell of an event. I am going for sure. Thanks to Sister PR for the invite and the lovely event. I had a great time and I have not been paid for this review, all opinions are my own. Lovely post, and so quick to write it!! Was really nice to meet you yesterday. Hope to see you there on the 20th.